The IMB-Graz Microscopy Core Facility (MCF) provides state-of-the-art light microscope instrumentation and image processing tools for biomedical research. 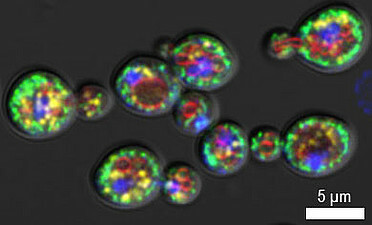 The research of the MCF is focused on development and evaluation of advanced imaging and image processing techniques to solve biomedical issues in the lipid field and beyond. In this respect, the facility collaborates continuously with internal and external researchers particularly in the framework of BioTechMed-Graz. Furthermore, the MCF represents the technology platform for the large-scale project SFB Lipotox. The facility is open to all interested scientists within the University of Graz but also outside. The MS facility supports research groups at the IMB, partner institutions within the research network Spezialforschungsbereich LIPOTOX, as well as external collaborators. 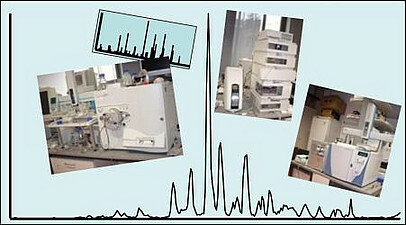 The development and application of mass spectrometry analyses occurs in close cooperation and according to the specific requirements of the research groups. Besides providing a standard repertoire for lipidomics and proteomics analyses, we strive to improve current technology and develop specific applications, i.e. in the course of master´s or PhD theses. As part of the "OMICS Center Graz" we are a node in the "BioTechMed" project. The core facility for preclinical MRI supports research groups at the IMB as well as external partners in planning and conducting in vivo magnetic resonance imaging studies. Study protocols are individually adapted to meet the scientific goals of the researchers and new MR methods are established if needed. We assist the user during planning phase (preliminary studies) until the stage of post-processing and data analysis. Our focus is on preclinical MR diagnostic to characterize fat associated and metabolic disorders as well as age-related diseases in mouse models. Our MRI lab offers a range of other applications in the fields of material and plant sciences on request.